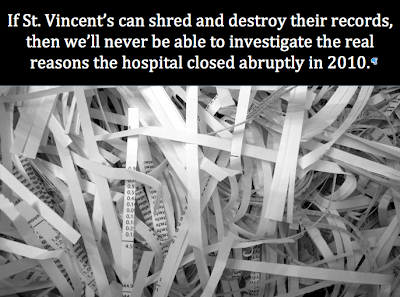 Bankruptcy Judge Cecelia Morris has let the management of St. Vincent's avoid Freedom of Information requests and has let the Rudin Family to gut St. Vincent's and is about to let the Family take a wrecking ball to it. Now, Judge Morris is going to let the Management and the Family destroy evidence. 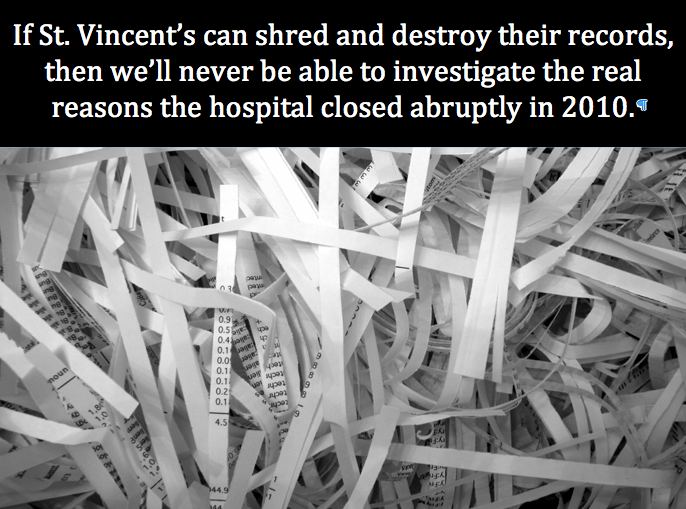 Management of St. Vincent's Asks Bankruptcy Court to Approve Document Destruction, So That No Investigation Can Ever Determine Why the Hospital Closed Abruptly And Without Any Legally-Mandated Closure Plan.